The ‘Logo in Process’ posts are just ideas at the start of a new logo and identity project. The design or designs you see here are likely to change or even maybe stay the same. I may even just give up and go home. Who knows at this point. This is for a local landscaping client, remarkably called Doug. Doug is someone I know, someone that I owe some favours to. 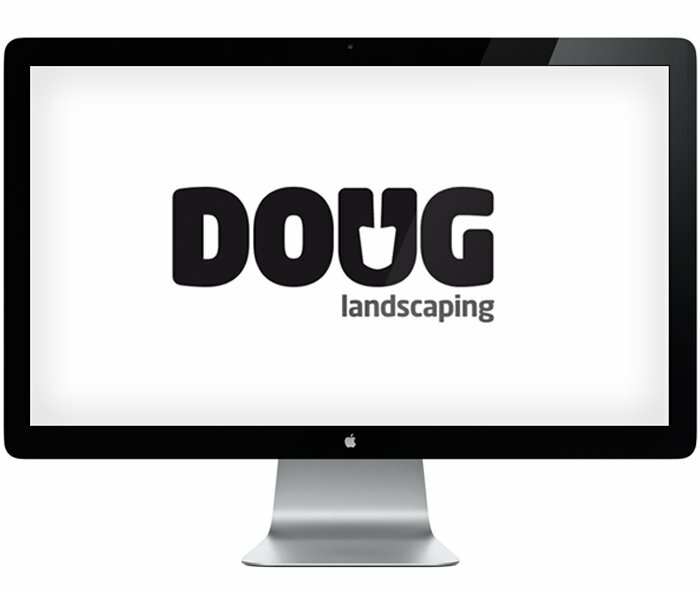 Even though it’s not a ‘big’ coporate business logo, it still performs a valuable role for Doug. Being local, I have the knowledge of seeing all other existing landscape companies, so I have been able to come up with something unique for Doug. He is a general garden handyman with skills with landscaping, but we decided to keep it relatively down to earth and informal. Imagine this plastered up the side of a white van, or even a small ‘sign’. Driving past this van, the logo should be noticeable and bold. So in essence, all I have done is to play on ‘Doug’ being ‘Dug’ and shoved in a simple ‘spade’ icon into the negative space of ‘u’. Clean, simple, bold and practical and hint of humour that will hopefully stand Doug out from the many other landscaper gardeners. It’s a work in progress, playing with fonts, colours and other details, but so far, I am liking the simple and bold direction.